WEDNESDAY, March 23, 2016 (HealthDay News) -- Widely used antidepressants known as selective serotonin reuptake inhibitors (SSRIs) don't appear to raise the risk for heart trouble among young and middle-age patients, a large analysis suggests. Commonly prescribed SSRIs include Celexa, Lexapro, Prozac, Paxil and Zoloft. The findings are reassuring, said study lead author Carol Coupland, a professor of medical statistics in primary care at the University of Nottingham in England. Coupland's team found no increased risk for stroke or heart rhythm disorder among thousands of patients aged 20 to 64 who were taking SSRIs for newly diagnosed depression. And some patients were found to have a reduced risk of heart attack, the researchers said. Nevertheless, "with this type of observational study it isn't possible to make firm conclusions about cause and effect," Coupland cautioned. 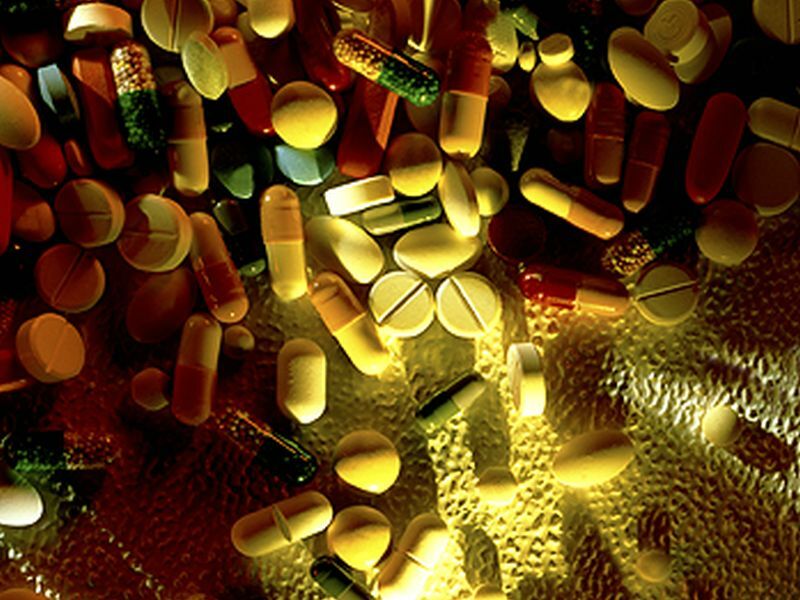 Antidepressants are the third-most commonly prescribed drugs in the United States, the researchers said. And SSRIs are the most commonly used antidepressants, according to the U.S. National Institute of Mental Health. Although considered safe, SSRIs can raise the risk for side effects such as nervousness, dizziness, fatigue, sleep trouble, and/or nausea, the study authors said. It's also known that depression raises the risk of heart troubles. But, scientists disagree on whether antidepressants -- particularly SSRIs -- raise or lower the risk, the authors said in background notes in the study. To explore the issue, the investigators analyzed data collected by the U.K. QResearch database, which covers more than 12 million British patients treated at 600 general practice facilities. Nearly 240,000 of those patients were between 20 and 64 years old and diagnosed with depression between 2000 and 2011. A little more than 70 percent were taking SSRIs. Their heart health was tracked until 2012. During roughly five years of follow-up, nearly 800 patients experienced a heart attack and more than 1,100 had a stroke of some kind. About 1,450 were diagnosed with an irregular heartbeat (arrhythmia), the investigators found. When the study team looked at different types of antidepressants, as well as dosage and duration, it concluded there was "no significant association" between SSRIs and an increased risk for heart attack, stroke or an irregular heartbeat. Overall, those taking SSRIs actually saw their heart attack risk go down, when compared with those who took no antidepressants of any kind, the study found. Prozac (fluoxetine) seemed particularly protective, in terms of reducing risk for heart attack and irregular heartbeat, the researchers said. And Celexa (citalopram) was not linked to any boost in heartbeat irregularity risk, even at relatively high doses, despite a related U.S. Food and Drug Administration safety warning issued in 2011. Still, the study authors cautioned against taking Celexa at high doses, particularly by anyone with known heart risks. The study findings were published in the March 22 online edition of the BMJ. On another front, the investigators said they found that patients taking a non-SSRI antidepressant known in the United Kingdom as Lomont (lofepramine) faced a significantly higher risk for heart attack. Lomont is an older type of antidepressant, from the tricyclic class of drugs. Tricyclic medications were also linked to a significantly higher risk for heartbeat irregularities over the first month of treatment, but that risk fell away over time, the researchers found. The bottom-line: SSRIs were found to be a heart-safe treatment for depression among young and middle-aged patients. Dr. Gregg Fonarow, a professor of cardiology at the University of California, Los Angeles, said that "most studies have shown that SSRI medications are safe and well-tolerated from a cardiovascular standpoint." He agreed that the new study is "reassuring" and should assist patients and physicians when trying to decide whether a particular antidepressant drug's benefits outweigh the known risks.